To accept payments, you need to get a point-of-sale system (aka POS). Your POS should be able to handle cash, credit cards (especially chip cards), and mobile payments. You need to connect your bank account to your POS. Square’s deposit schedule is fast—usually within 36 hours of the transaction or in one to two business days. You can also set up Instant Deposit with Square and send funds to your bank account within seconds. 4. How can I accept EMV chip cards? Chip cards are much more secure than magstripe cards. They’re processed differently than magstripe cards, so you need an EMV-enabled reader to accept them. Contactless (NFC) payments are secure, fast, and convenient. To accept mobile payments like Apple Pay, Android Pay, and Samsung Pay, you need a payments reader equipped with NFC. To take payments, you need a point-of-sale system—POS. A POS has hardware that allows you to process payments and software that lets you add items and ring people up. Your POS system also takes care of routing funds to your bank account after you make a sale. When considering a POS for your business, make sure that it accepts not only cash but also credit cards (especially chip cards, which will soon replace magstripe cards) and mobile contactless payments (NFC). Increasingly, people are moving away from cash and checks and instead opting to pay with credit cards and mobile wallets. Your POS system should be able to to do a lot more than just process payments. Look for a POS with software that can help you run your business from top to bottom (things like sales reporting, inventory management, employee management, customer engagement software, and more). Think of your POS as a command center for your business. Read our complete guide to POS systems to learn more. To get deposits from sales, you need to connect your POS to your bank account. This is quick and simple with Square (Learn how to link your bank account to Square). Usually it takes around five days (excluding weekends and holidays) to verify the bank account, and then you’re good to go. Read more about how to connect your bank account to Square. Square’s deposits are reliable—and fast. With our standard deposit schedule, funds are usually deposited within 36 hours or one to two days of a transaction. If your business has unique hours, you can also customize the time you’d like transactions grouped for a daily deposit (this is called your “close of day” time). Square also offers Instant Deposit, which lets you send sales to your bank account instantly. You need to give your customers a record of their transaction (or offer to do so). Your POS should be able to take care of that as well, either through a peripheral paper receipt printer or through digital receipts. Increasingly, businesses and customers are finding digital receipts—that is, receipts that are emailed or texted—to be the preferred type of payment confirmation. Digital receipts save paper and are much more convenient. They’re also a lot easier to keep track of (because let’s be honest, paper receipts often end up in the garbage). In addition to all the sale details (including taxes, fees, or any discounts), your receipts should include your business’s name and contact information. Square digital receipts (which you can email to a customer directly after you make a sale) also come packed with other goodies—including a place where customers can quickly send you feedback about their experience. 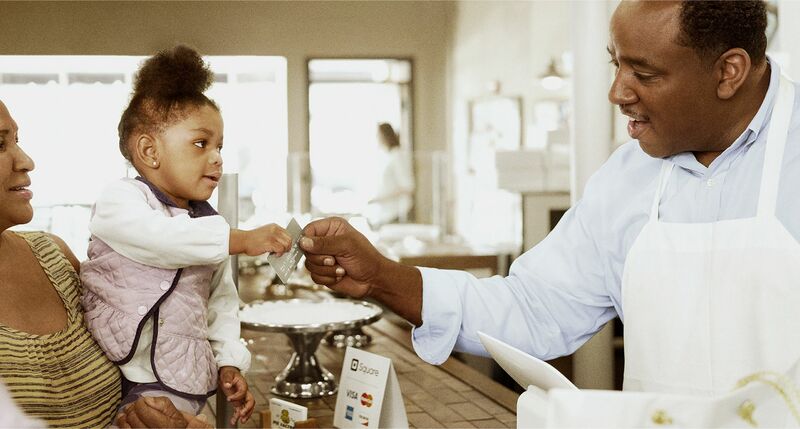 Read about all the features of Square receipts here. 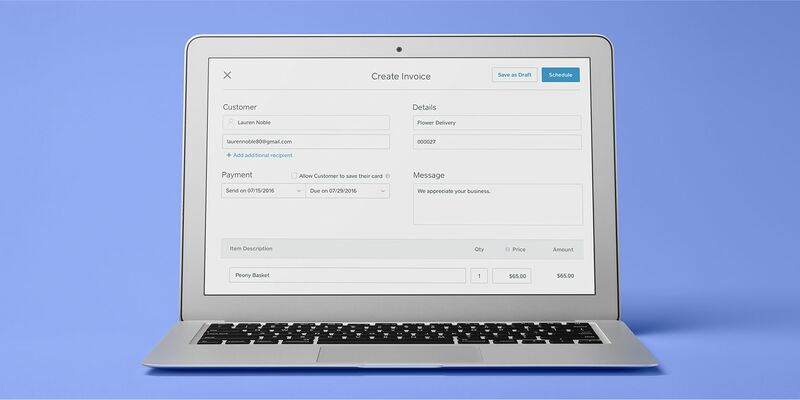 If you’re in the services industry, it’s likely you have to create and send invoices to get paid. Just as with receipts, you can opt for paper or invoices. On your invoices, always make sure to include your business information (name, email address, physical address, telephone number); customer information (full name and address); the invoice number (for your records); date and terms (specifically outlining the time period in which you expect to be paid); price and description of the items (as well as quantity); and taxes, fees, and discounts. Some industries may need to add additional information to invoices (medical professionals would probably want to add procedure codes for insurance purposes, for example). Chargebacks happen when customers contest a charge on their statement with their card-issuing bank. People contest charges for a number of reasons: Perhaps they don’t recognize the charge, or feel the services weren’t up to par with what was advertised. Whatever the reason, the whole thing is a drag. When there’s a chargeback, the funds in dispute are held from the merchant while the card issuer works things out and decides what to do. “Working things out” can be a complicated, slow, and time-consuming process involving a lot of paperwork and documentation. Square has disputes experts standing by to help you with chargebacks and answer your questions. We’ll guides through the process, using our industry expertise to advise you on which documents will make them most likely to win your dispute. And our Disputes Dashboard helps you submit documentation and keep track of active disputes, eliminating potential hours spent on the phone with the cardholder’s bank. Payments have gone through several changes—including the shift to EMV chip cards and the introduction of contactless payments like Apple Pay. Checks can take a while to clear. Credit card transactions, on the other hand, are usually deposited within a few business days. People want convenience. And if they’re only carrying cards, they may skip you over and opt for the competition. Accepting credit cards ensures that your customers have the best experience possible, which makes people more likely to recommend your business to friends. People tend to spend more when they pay with a card. In fact, a recent study found that people spend 12% to 18% more when using credit cards instead of cash. That means more impulse buys at the counter. If you have logos at your register of all the major cards you accept, that’s likely to instill a sense of trust with people. Credit card transactions are heavily screened to reduce the risk of fraud. 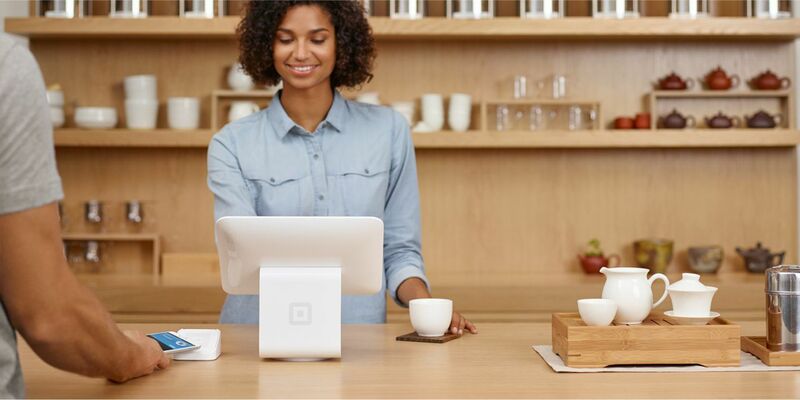 Square monitors every single transaction from swipe to payment to help make sure sellers don’t have to deal with any (major or minor) headaches. Even if you’re on a shoestring budget, it’s easy to get set up to accept credit cards. 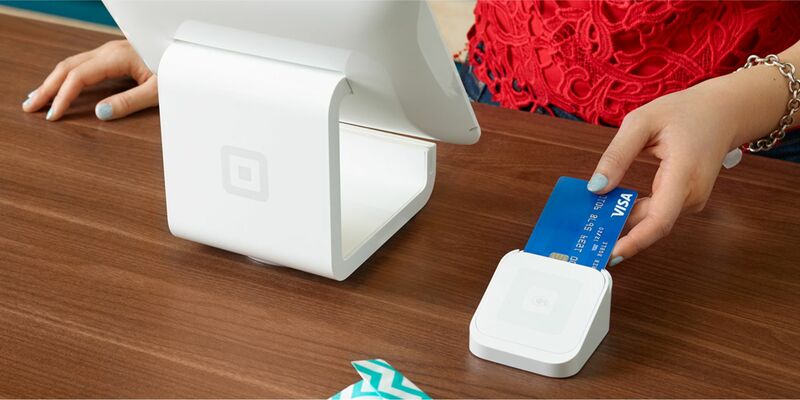 Square offers affordable credit card readers at a competitive rate of just 2.75% per transaction. Magnetic-stripe cards (which are woefully outdated and susceptible to fraud) are going away. In their place, banks are now issuing EMV chip cards, which are equipped with a tiny computer chip. The data on that chip is constantly changing, making it extremely hard for a fraudster to extract anything meaningful. The actual processing of EMV cards is also a lot more secure. Magnetic-stripe cards send bank information to the payments terminal as it is on the card. Chip cards, on the other hand, talk back and forth with the payments terminal in an encrypted language to make sure nothing looks out of place. EMV, which has been the credit card processing standard in most countries for decades, has been proven to effectively curb certain types of fraud. Although there’s no law requiring businesses to accept chip cards, it’s a good idea to get set up to do it for two reasons. First, it’s the most secure way to process credit card transactions. Second, something called the liability shift went into effect on October 1, 2015. Businesses that aren’t set up to accept chip cards could now be on the hook for certain types of fraudulent transactions (whereas previously banks ate that cost). You can read more about the liability shift in our Guide to the Liability Shift. To accept EMV at your business, you need a new, EMV-enabled reader. Chip cards are processed differently than magnetic-stripe cards. They’re dipped vertically (chip part down) instead of swiped horizontally. 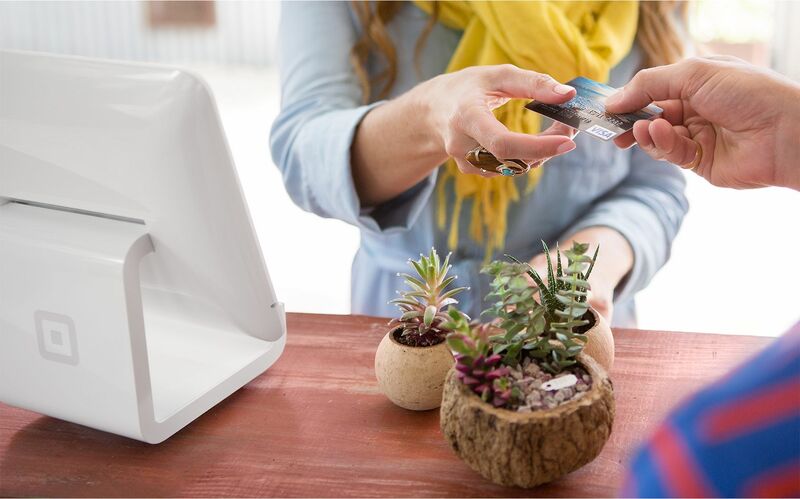 We like to call it the “chip and dip.” The Square contactless and chip reader accepts EMV and is just $49. It also accepts NFC payments like Apple Pay. Future-proof your payments systems by ensuring you can accept both EMV chip cards and the latest in contactless payments. Soon, more and more of your customers will want to pay “contactlessly” via their mobile devices. Contactless (NFC) payments require no physical contact between the device and the payments reader—customers just tap or hold their device over the reader to pay. The most popular examples of contactless payment solutions are Apple Pay, Android Pay, and Samsung Pay. NFC payments are just as secure as EMV. They have several layers of security built into the process to protect your bank information. The data involved in an NFC transaction is encrypted and dynamic, meaning it’s constantly changing. This means that the account details on your device can’t be cloned into anything valuable to fraudsters. What’s more, Apple Pay is protected by Touch ID, Apple’s fingerprint technology. To initiate an Apple Pay transaction, you have to unlock your phone via your fingerprint. So even if your device is stolen, no one would be able to get at your data. (This is the reason why Apple Pay only works on the most recent iPhone models, which come equipped with Touch ID.) You can learn all about Apple Pay in our complete Guide to Apple Pay. As opposed to EMV transactions, which can be pretty sluggish, contactless payments are extremely fast (they take just seconds to process). And because they don’t require taking out your wallet to pay, they’re a lot more convenient. So to provide the best possible customer experience (and secure your business), it’s a good idea to get set up to accept both NFC and EMV payments.